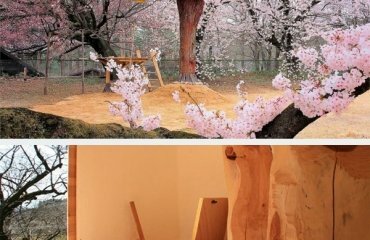 How to keep the garden organized? 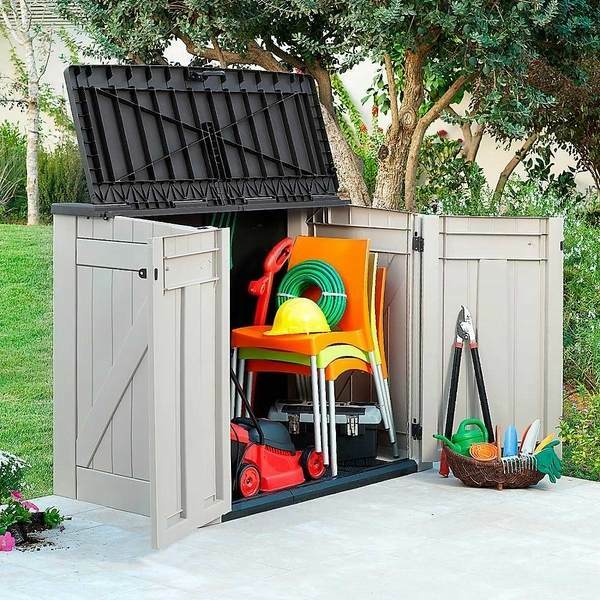 Where to store the various garden instruments, the garden mower, buckets, hoses, decorative pillows, pool equipment? 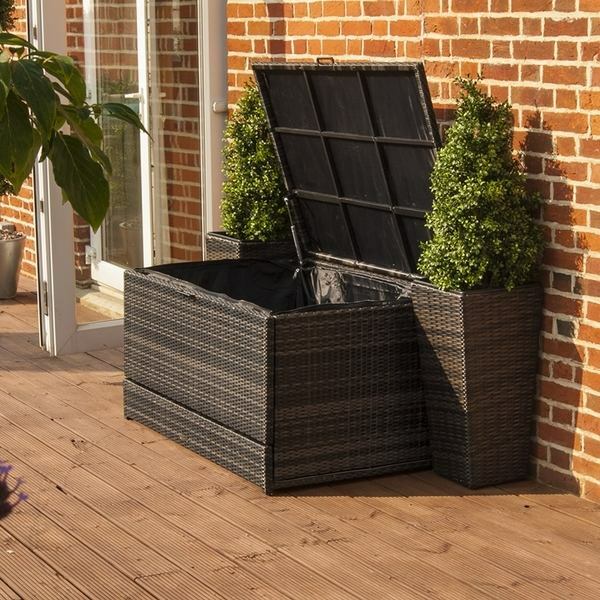 There is no doubt that every garden needs a place where you can neatly store a variety of items and we will show you some garden storage ideas which will be very useful, especially for people who appreciate good organization. A well kept garden means that you wouldn’t want to find tools scattered among the flower beds or lying around. 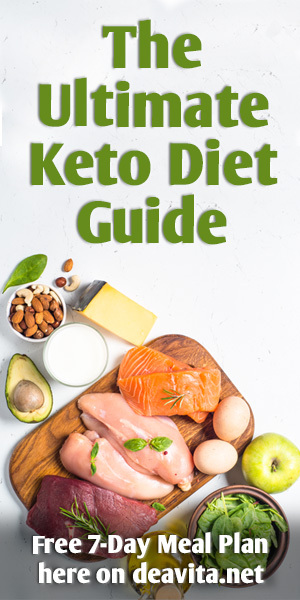 There are many ways to keep the inventory away from view – sheds, racks, benches with built in storage and besides that you will be able to quickly find what you need, the appearance of your garden will be much better. 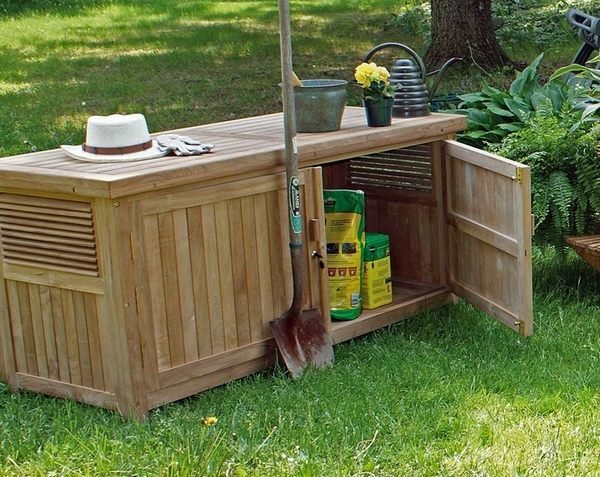 Storage space is never enough and if you have to think of a place for keeping the inventory that you use in the garden, this could be a real problem. 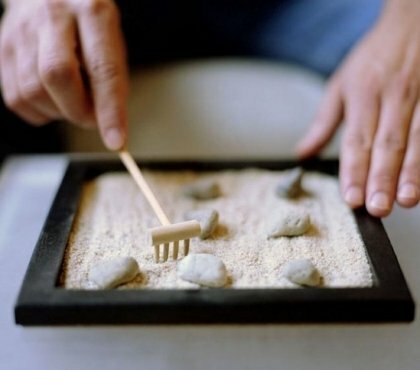 You have to store fertilizers and tools for maintaining the garden, pots for replanting, playground toys or pool toys, even the barbecue during the winter period needs a place. 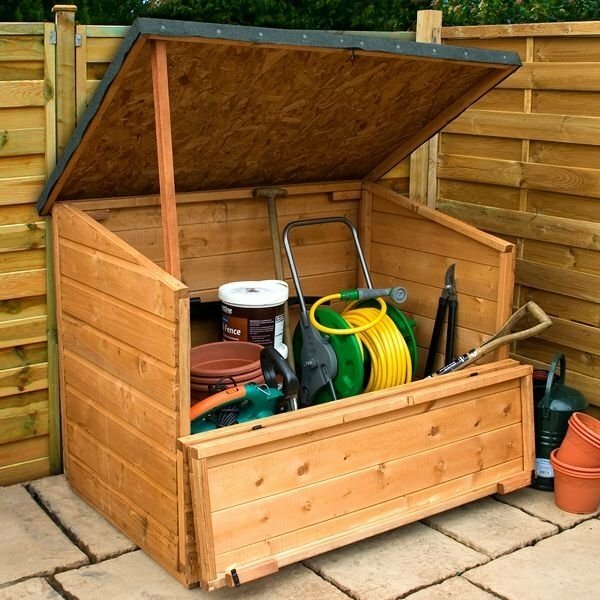 The classic garden storage is the shed. 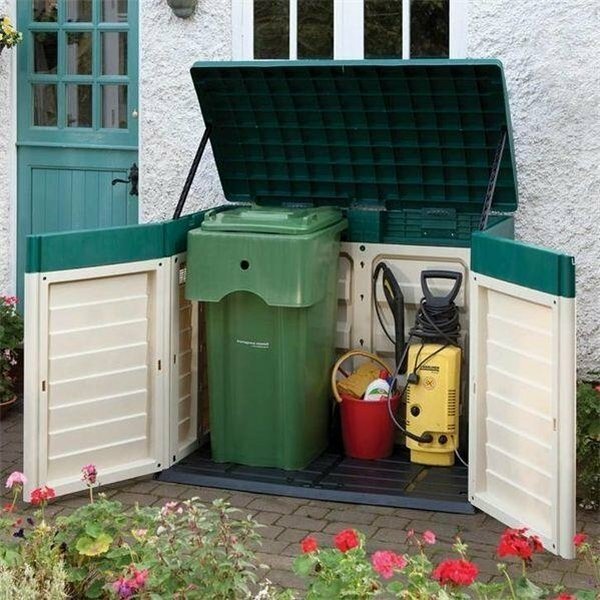 This is one of the most popular garden storage ideas as it provides the opportunity to keep everything at hand and in good order. 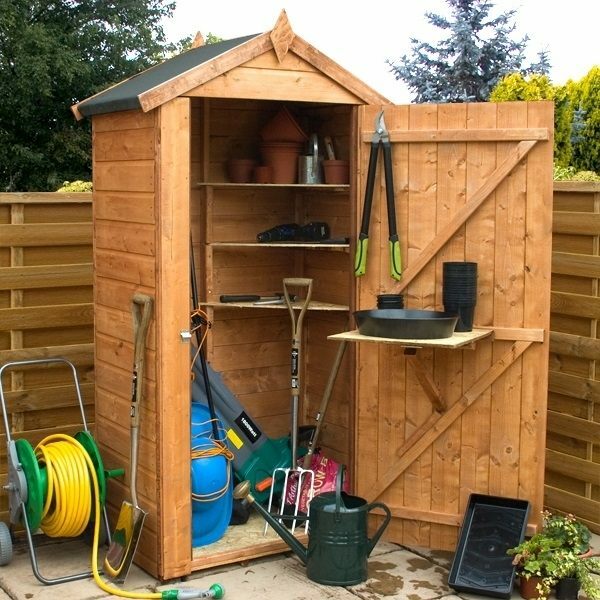 A small garden shed can provide storage space for shovels, brooms, spades and the walls of the shed can be used to organize smaller items. A larger shed can be used to keep the bicycles of the family members as well. 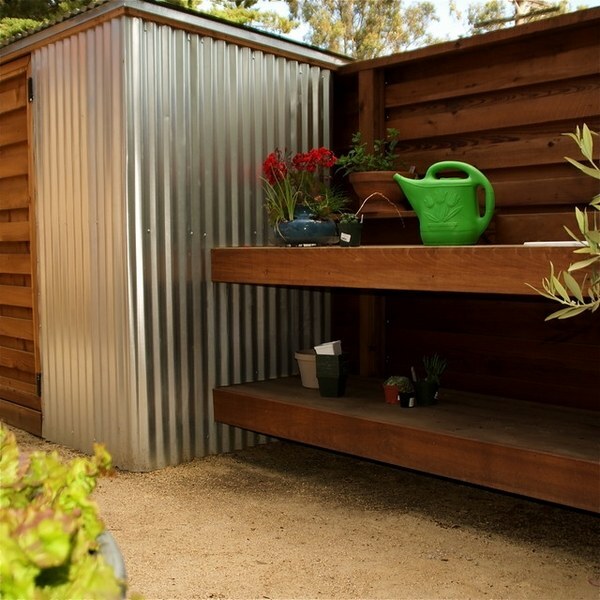 Garden sheds are manufactured from wood, metal or plastic and there are many DIY ideas as well. A wooden garden shed adds a natural feel to the garden appearance and you can paint your shed so that it blends in the overall garden design. Remember that wooden sheds need maintenance and you must apply a coat of weather resistant protective glaze so that the shed withstands weather changes. The coating should be renewed periodically – once a year or once every two years. Add a few flower pots or planter boxes around the shed and you will have a beautiful and pleasing corner in the garden. 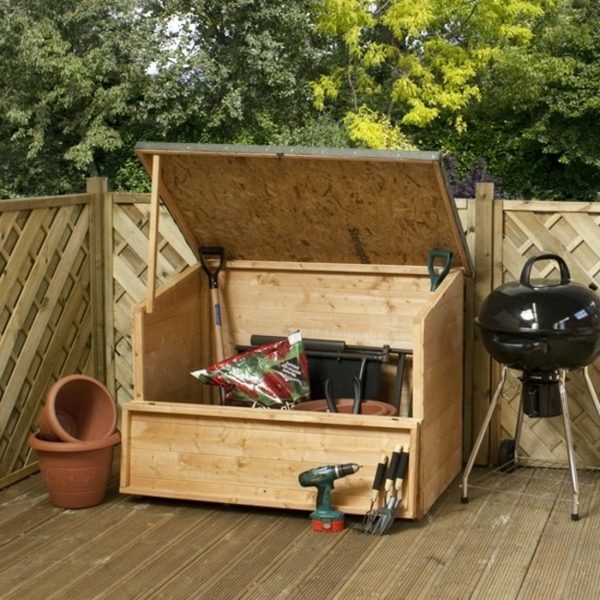 The market offers garden storage sheds and hutches made of faux wood or metal in different sizes and designs. 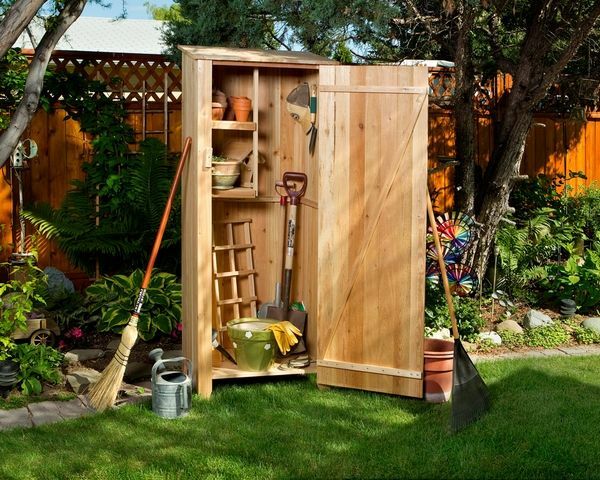 Faux wood garden storage sheds look really attractive and will not require a protective coat of paint. 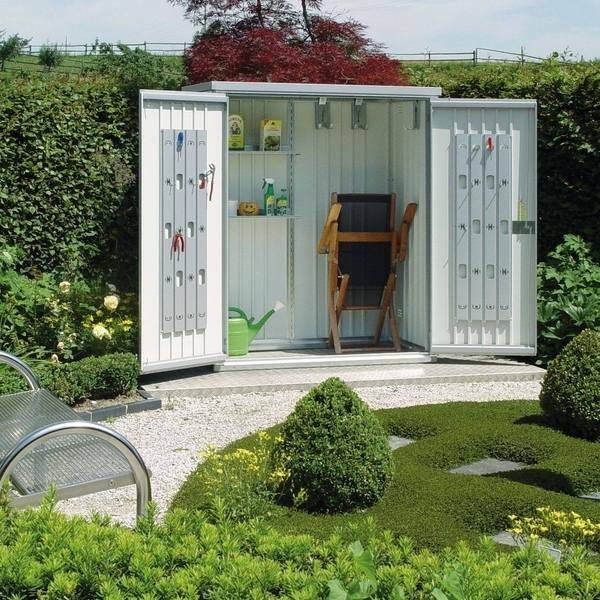 A smaller and space saving version of garden sheds are the garden pods. They are smaller in size but provide enough storage space to accommodate various tools and equipment. Garden pots are especially useful for small gardens where the limited space is an issue and you need to be more creative. 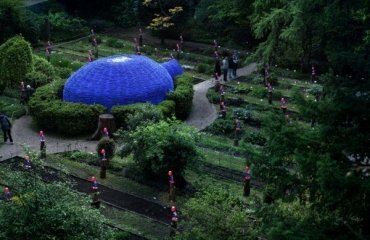 An advantage of garden pods, besides the small size, is that they can be easily transported or moved, if necessary. 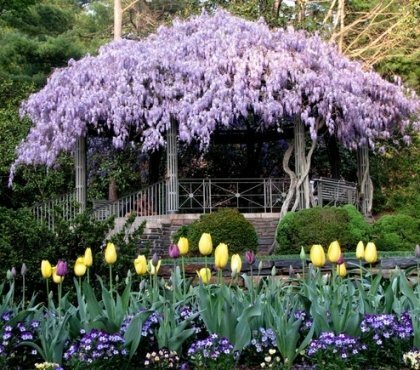 Most garden pods can be easily assembled or disassembled which is another advantage although vary few homeowners replace their sheds. 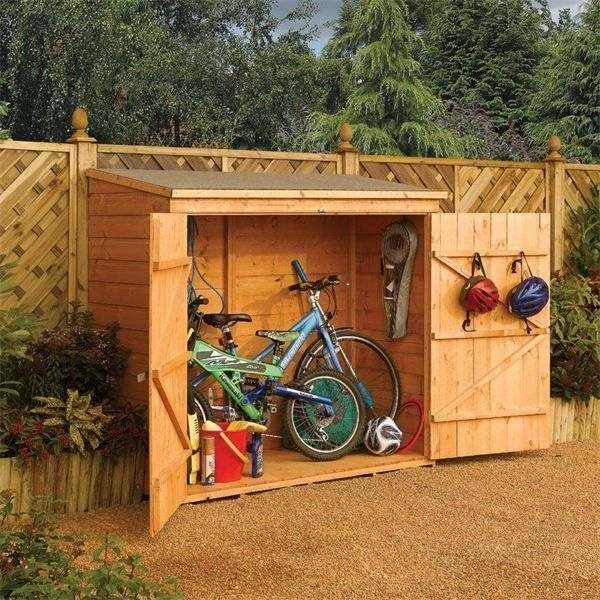 Garden pods and garden sheds usually have a window which allows natural light but even if that is not the case, this would not be a decisive factor when you search for the garden storage solution. 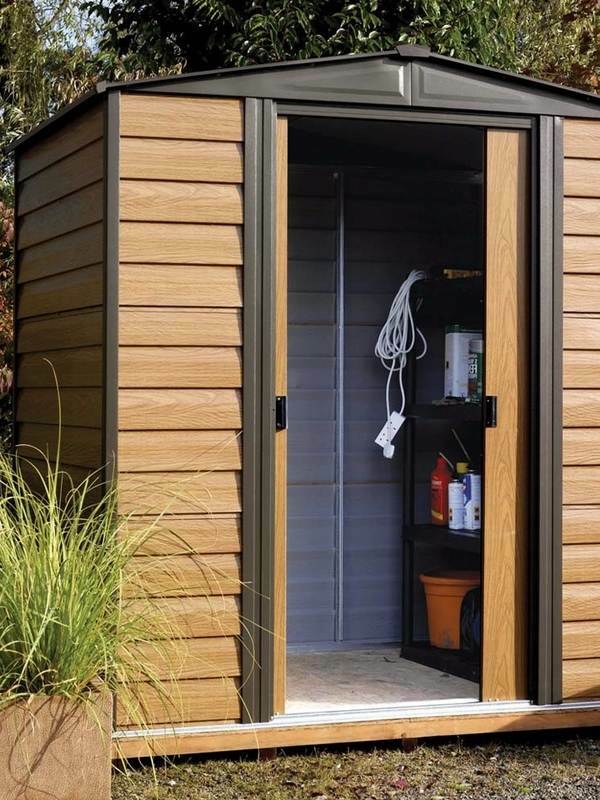 Sheds and garden pods are widely popular as they can be used not only as a storage for garden equipment but as a garden office or an outdoor living room during the summer months. 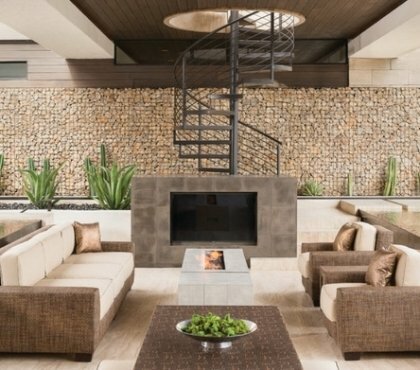 They are the perfect option for a backyard retreat where you can relax in the open air and enjoy the warm weather. 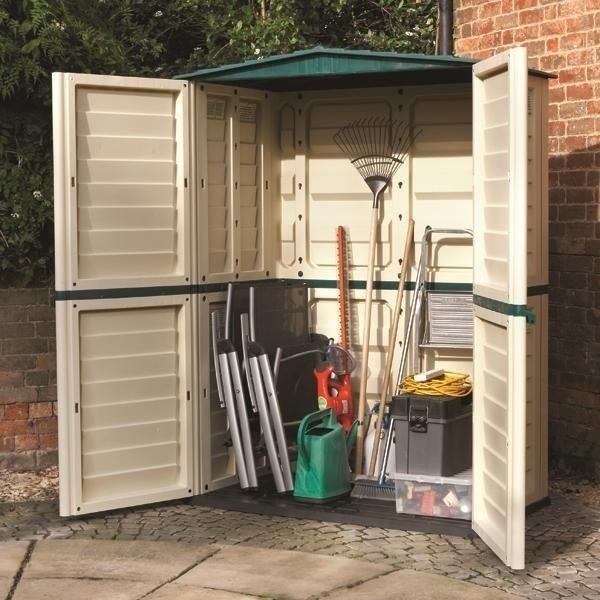 When you have a limited space or you are not a very keen on gardening, so you haven’t got many tools, a storage cabinet can be the perfect garden storage. It can be placed even in the smallest of gardens, or on the balcony and will neatly accommodate your scissors, pots and fertilizers. The doors of the cabinet can be equipped with hooks which will give you additional storage space. Garden tool cabinets come in various sizes and height, some have shelves which allows you to store bigger items at the bottom. 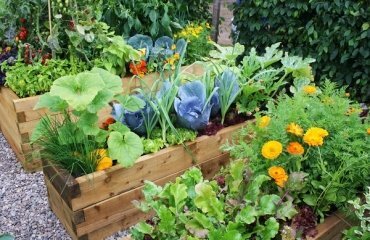 One of the easiest DIY garden storage ideas is to build garden shelves. 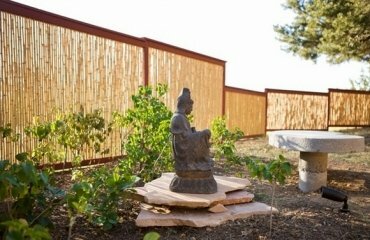 You can attach them to the fence and thus save a lot of valuable space. This is an excellent way to upcycle old furniture, ladders and you can find many creative ideas from reclaimed wood. 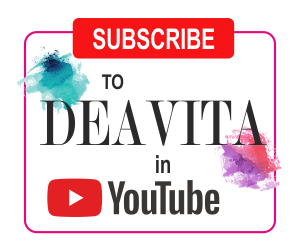 Garden shelves can be made of metal or plastic and many models are freestanding which makes them quite flexible as smaller models can be equipped with wheels for easier movement. Shelves often are combined with a worktop and this is an excellent storage idea for beginners and amateur gardeners as they can keep their equipment at reach and in order – pots, seeds, blades can be stored on a shelf above the worktop and heavier items like bags of soil or fertilizers can be placed at the bottom level. 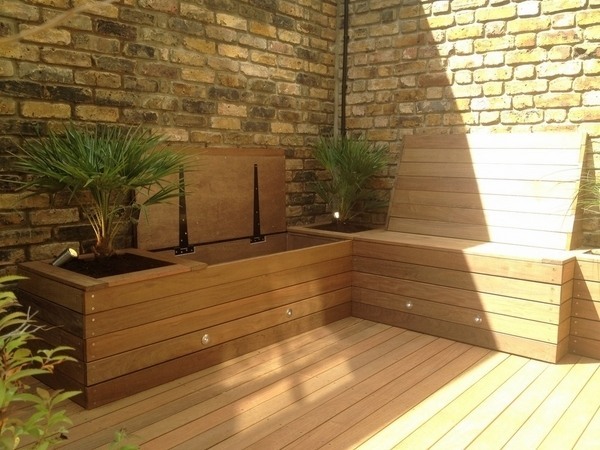 Small gardens, balcony gardens, rooftop gardens and outdoor areas with limited space require a more creative approach when organizing a useful storage space. 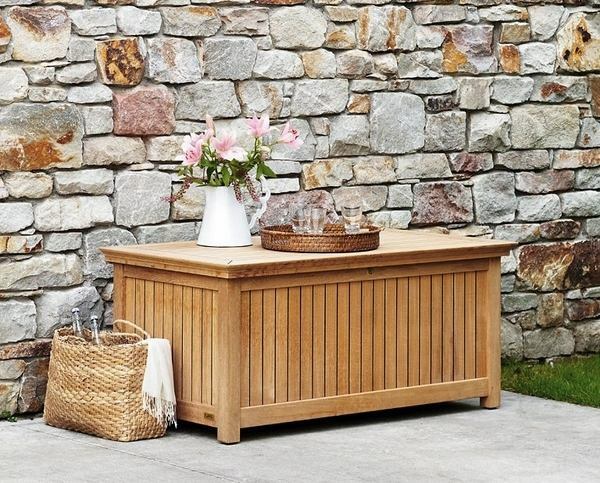 A bench with chest or a storage box is the perfect solution as it combines seating and storage space. 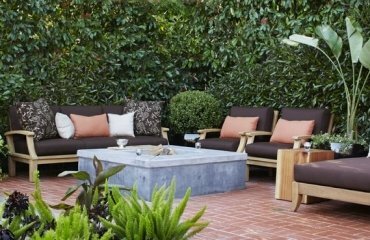 With a few seat cushions your garden furniture will look great and you will have everything organized and in good order. 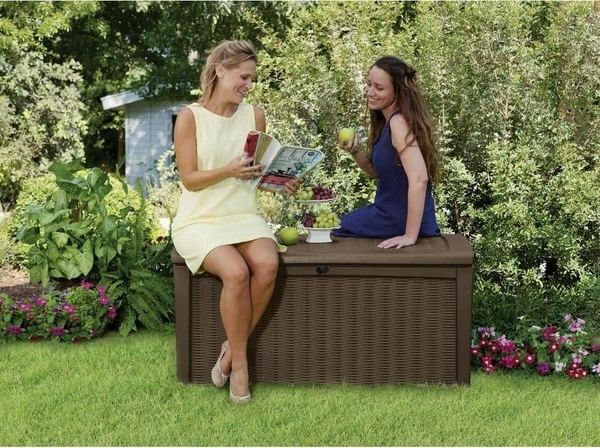 The market offers a wide variety of benches with storage space, made from different materials – wood, rattan, plastic – and you can choose from different sizes as well. 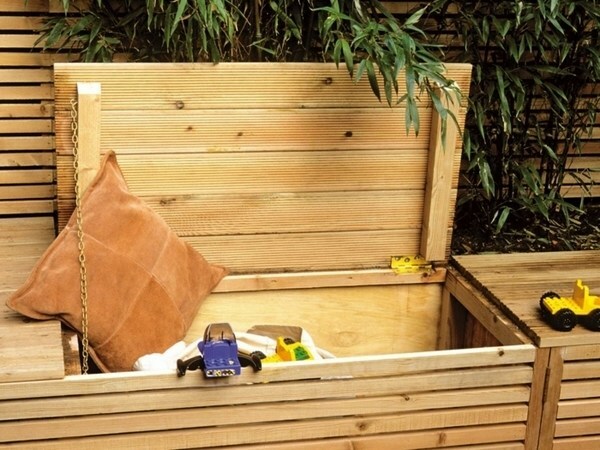 When you choose a garden bench with storage, make sure that it is waterproof or not. 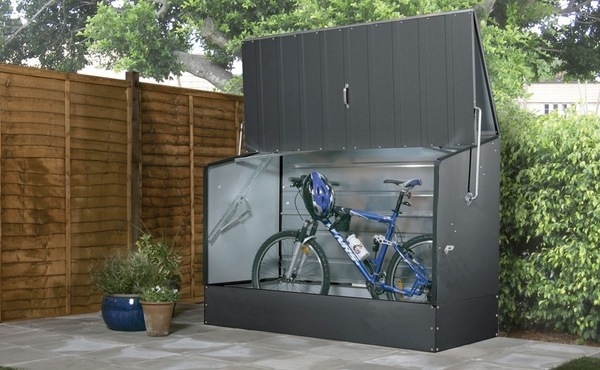 The choice of garden storage will depend on the available space and whether you opt for a garden shed, a small garden pod, a storage cabinet, shelves or benches with storage, you can choose from many and different designs. 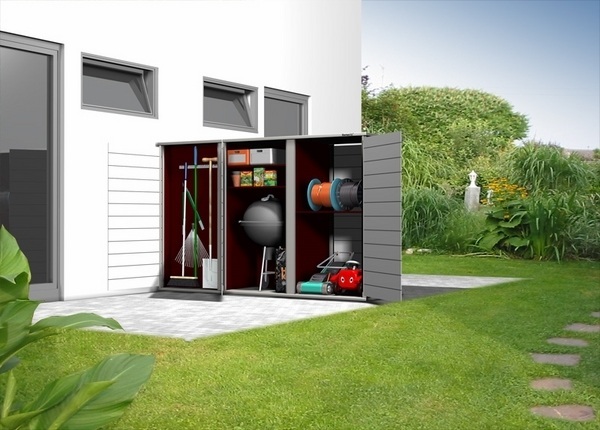 The garden storage becomes a part of your garden and you should choose an option which will complement the exterior of your home.